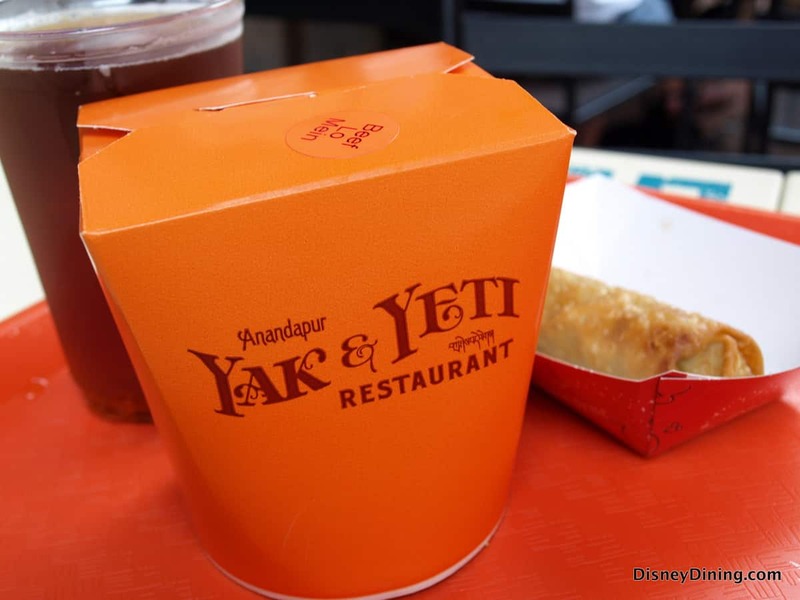 8) Yak & Yeti Restaurant – Disney’s Animal Kingdom is home to a wonderful full service dining location that offers up pan-Asian cuisine with an interesting back story. The Yak & Yeti Restaurant was founded by a family who traveled throughout Southeast Asia collecting the delicious recipes that are currently served and the beautiful artifacts that are found throughout both floors of the dining location. Guests who are looking to make the most of their meal at the restaurant should begin with the Firecracker Shrimp appetizer which features crispy fried shrimp tossed in a creamy, spicy sauce accompanied by Asian slaw and costs $11.99. The most valuable entrée option at Yak & Yeti Restaurant is the Bhaktapur Duck which is a roasted half duckling served with plum BBQ sauce, jasmine rice, and stir-fried vegetables and costs $28.99. There are two dessert which are considered to be the best value at the location and guests can choose between the Friend Wontons which are fried wontons stuffed with cream cheese and served with pineapple, vanilla ice cream, and a honey-vanilla drizzle or the Pineapple Upside-Dwn Cake which is served warm with vanilla ice cream and caramel sauce and both options are $9.99. To round out an amazing meal at Yak & Yeti Restaurant, guests should indulge in a cocktail and several options are all $9.99 including the Yak Attack, Rickshaw Rickie, Kiwi Kimono, and Big Bamboo.